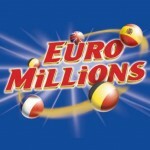 Organisers are expecting a much larger quantity of tickets to be sold than usual, with players all over Europe wanting to be in with a chance of winning the EuroMillions. 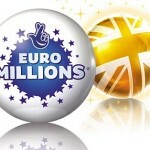 Players of the Euromillions will indeed be on the edge of their seats this coming Friday. There is a certain frenzy of excitement among Euromillions players – which is common when the jackpots roll multiple times. Last week Friday despite there being over €100 / £79 million at stake, the Euromillions jackpot rolled over for the ninth time in a row as no ticket holder was able to match all six numbers in order to claim the jackpot. 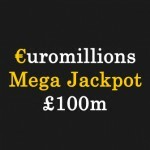 UK players were hoping that the Euromillions jackpot rolls over again from the draw on Friday 20th July, to try and break that gigantic £100 million threshold. Reason being that this would tie in with the 100 UK Millionaire’s Raffle, which will take place on Friday, 27th July 2012. This UK only competition, aims to break its record for making multiple millionaires in one night, in celebration of the opening ceremony of the Olympic Games. 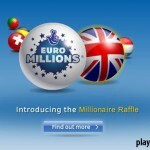 Expert predictions are that the chances of winning one of the million pound prizes in the 100 UK Millionaire Raffle is going to be greater than usual, as the increased prize pool has vastly affected the usual very slight odds – in favour of the player. Therefore make sure to play on Friday 27th July 2012 by buying your tickets online. Not only will you save some time not queuing but the systems Lottery Concierge Service will keep a record of your numbers and inform you of a win.